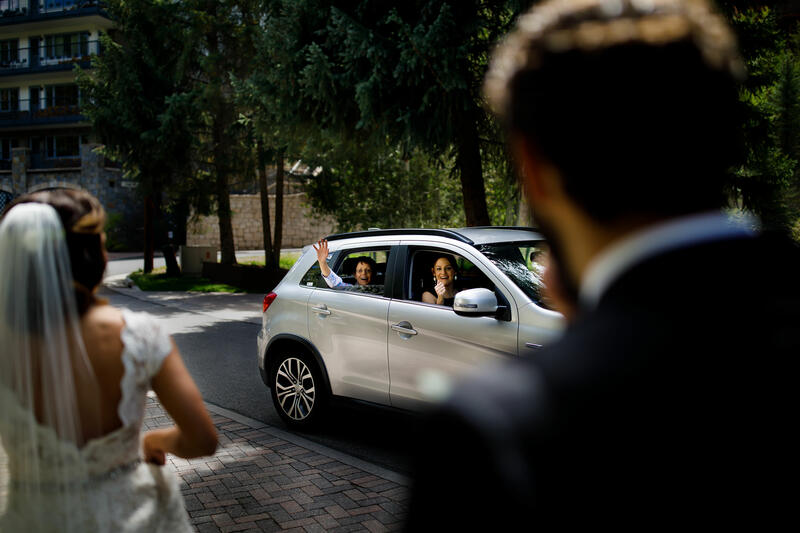 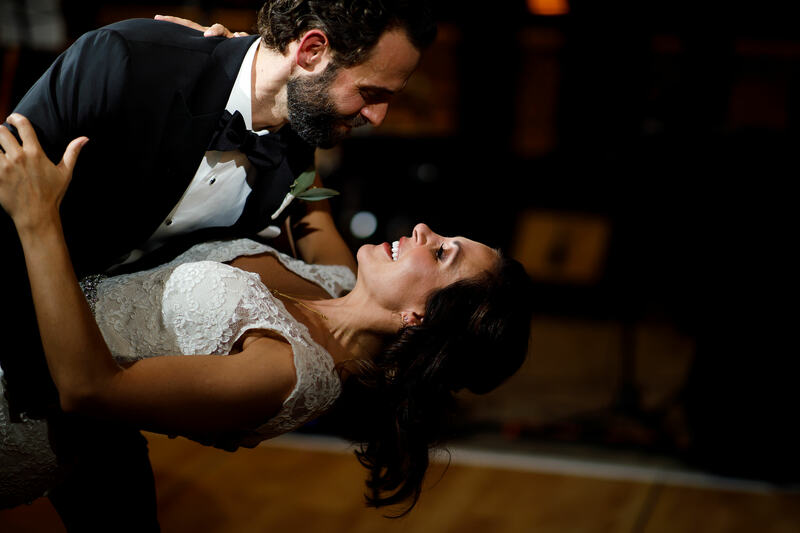 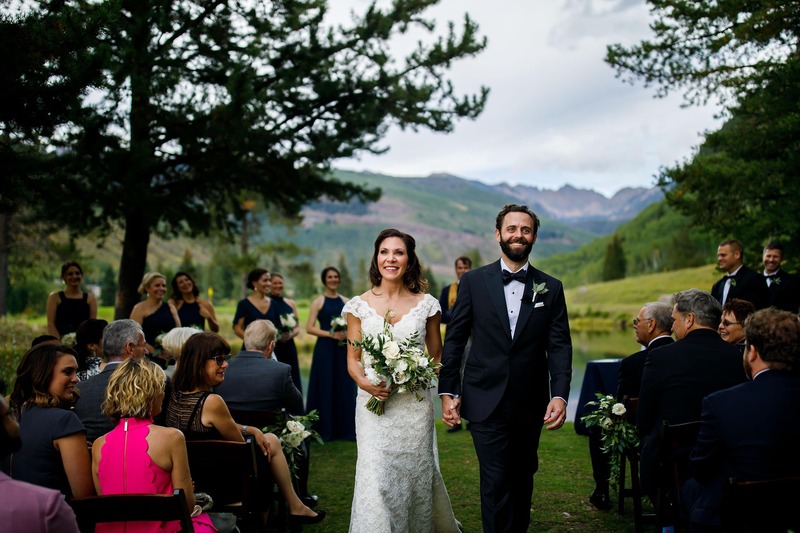 Christine and Stephen’s Vail Golf Club wedding was full of energy all day long and that’s all you can ask for as a photojournalist. 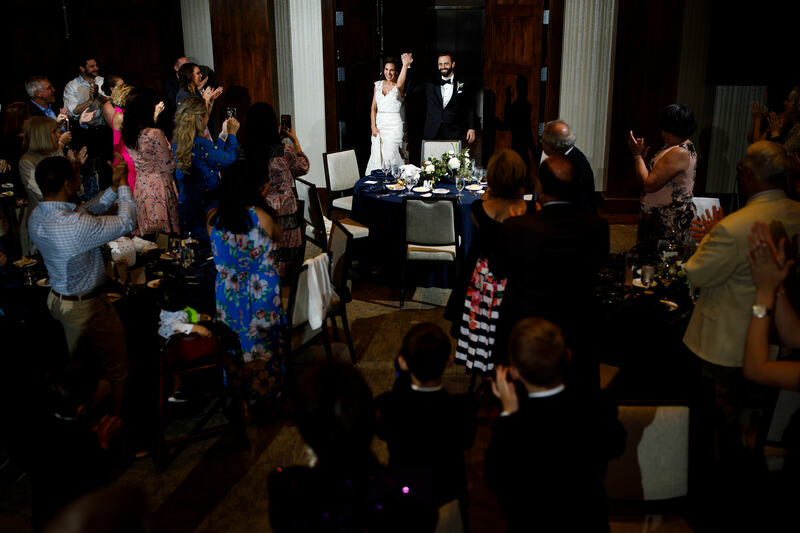 When we walked into the room, Christine greeted Travis and I with her southern draw that folks from Texas are known for and gave us a huge hug. 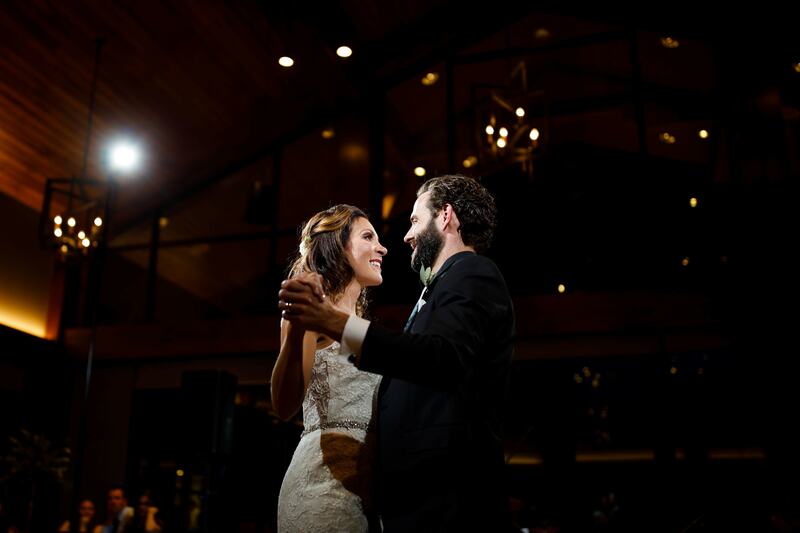 They live in Texas and had only chatted via Skype so that set the mood for the entire day. 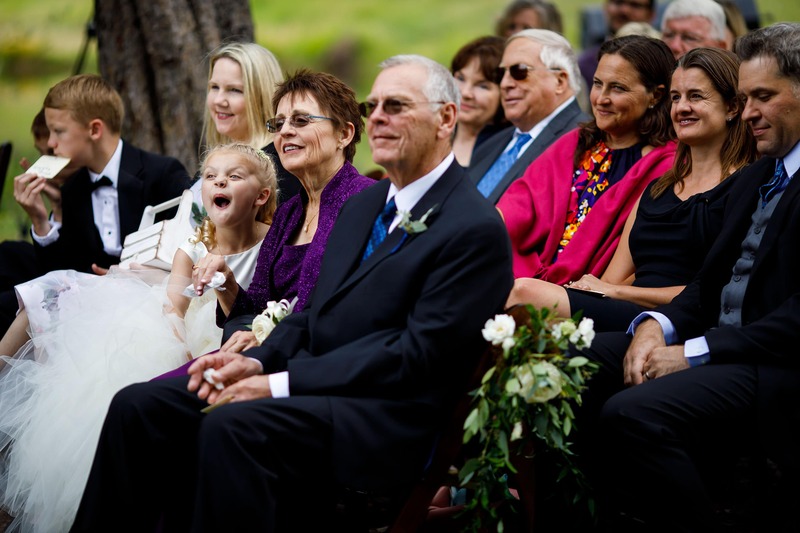 Their families welcomed us with open arms and were wonderful all day. 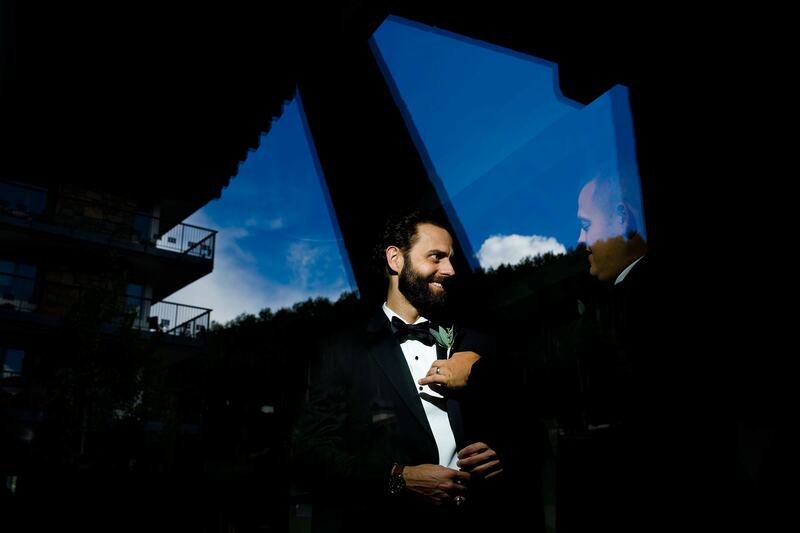 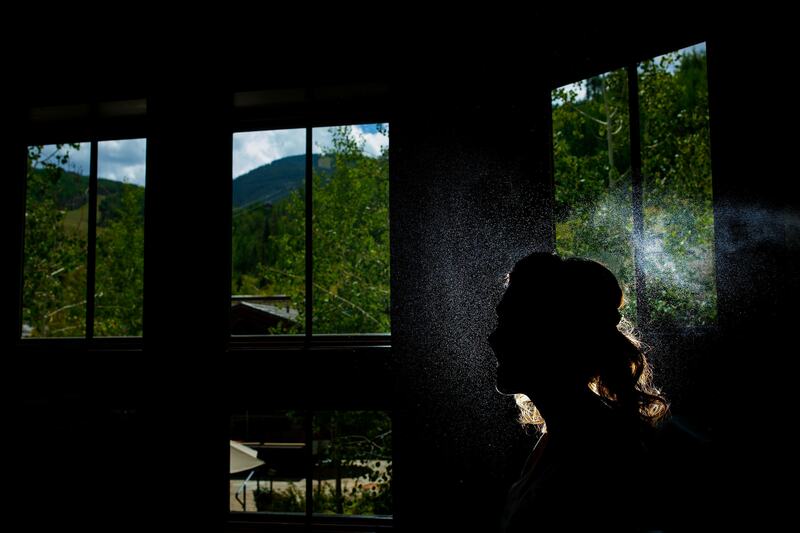 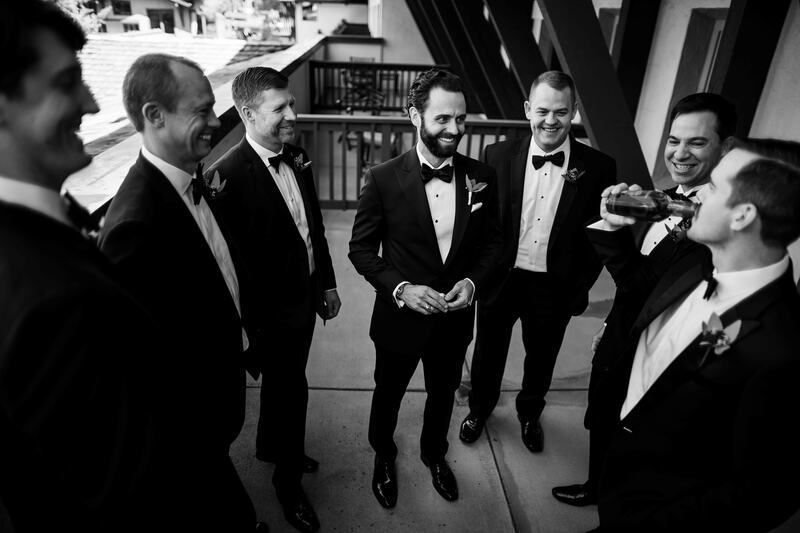 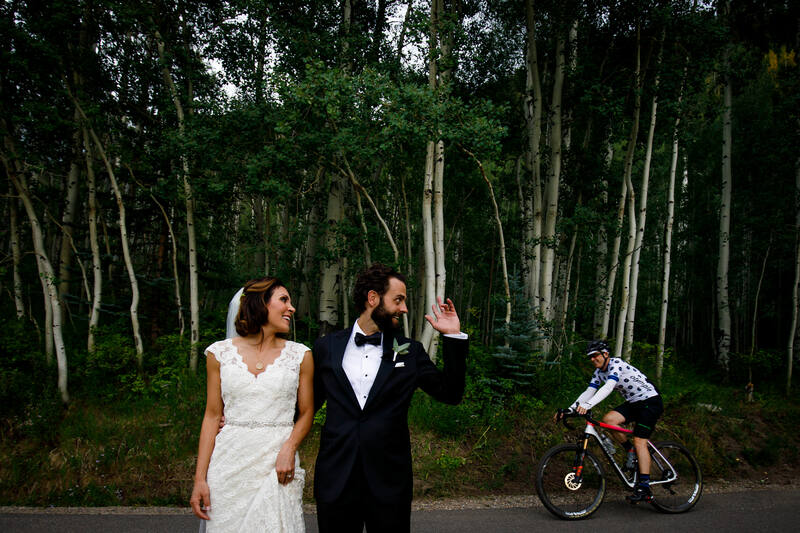 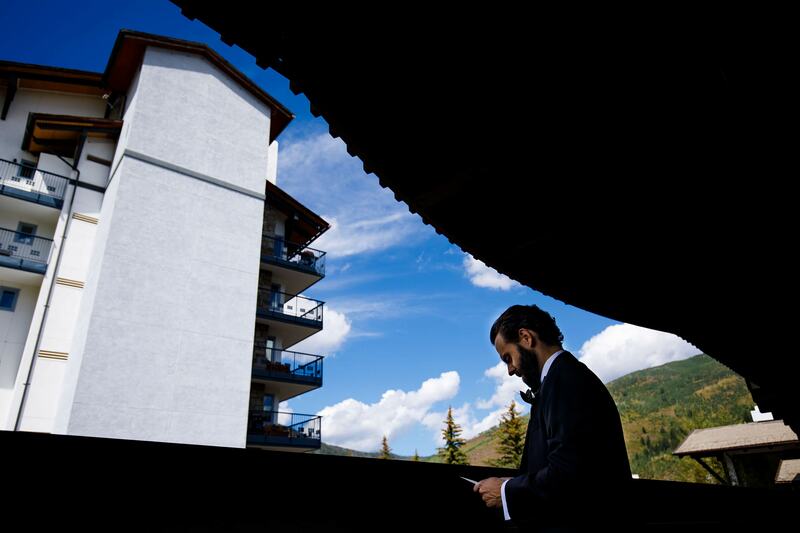 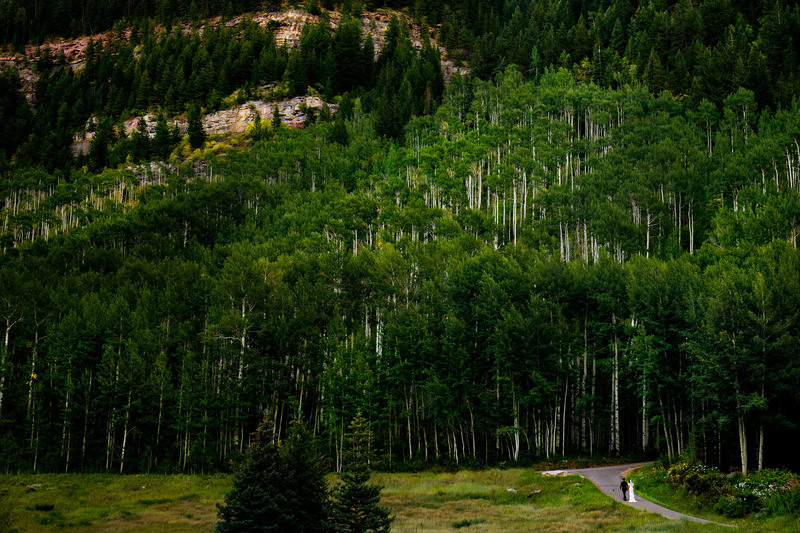 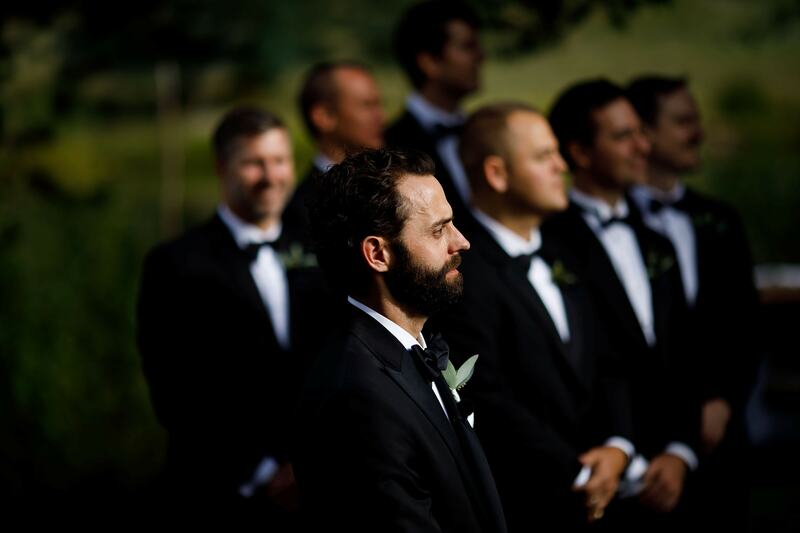 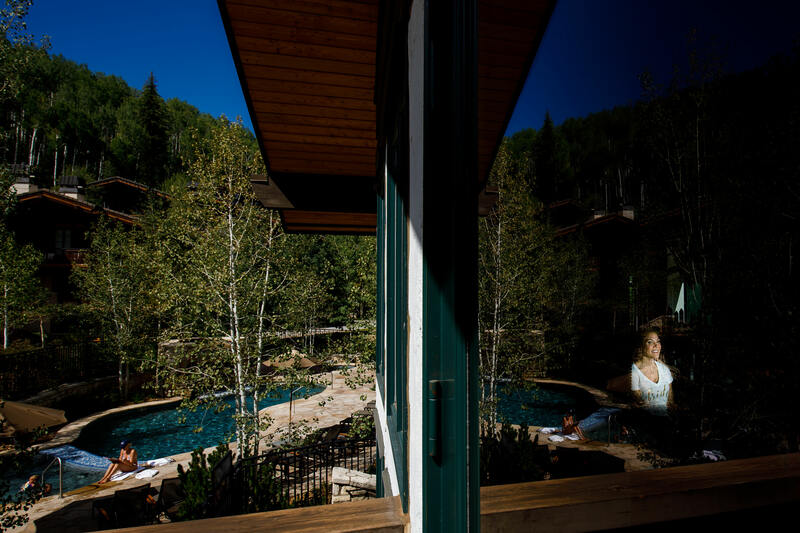 As evident from Travis’ images, Stephen and his groomsmen were having a blast just down the hall at The Lodge at Vail. 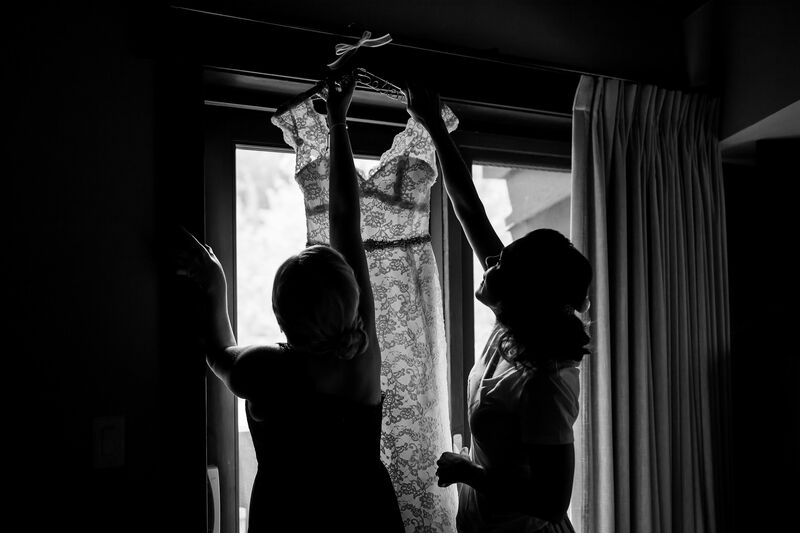 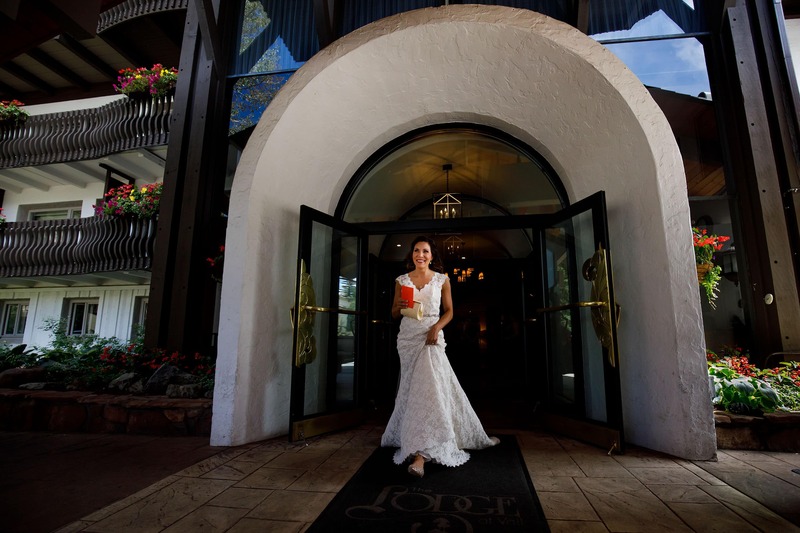 As the ladies helped Christine slip into her dress, the guys passed around a bottle of Maker’s before sending them off for their first look around the corner from the hotel. 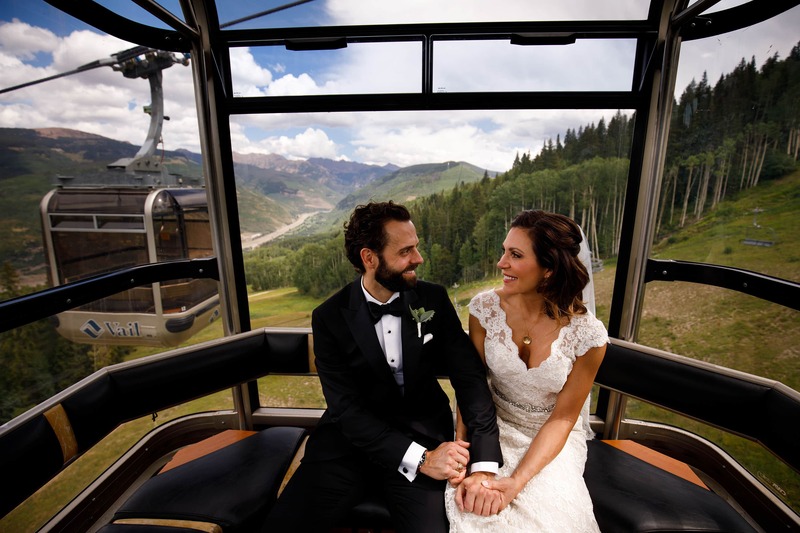 They shared notes that they had written to each other before we all ventured to Lionshead Village and took the Eagle Bahn gondola to the top of the mountain. 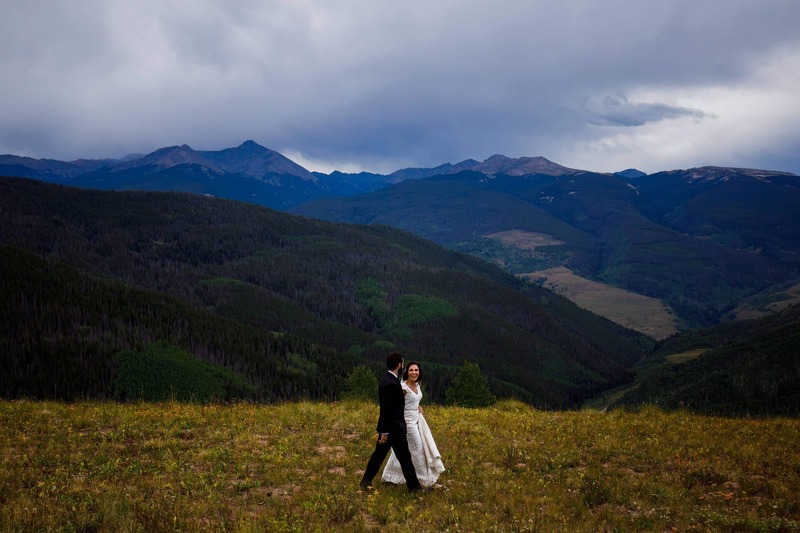 Photos were important to them both so we had plenty of time atop Vail mountain with epic views in every direction. 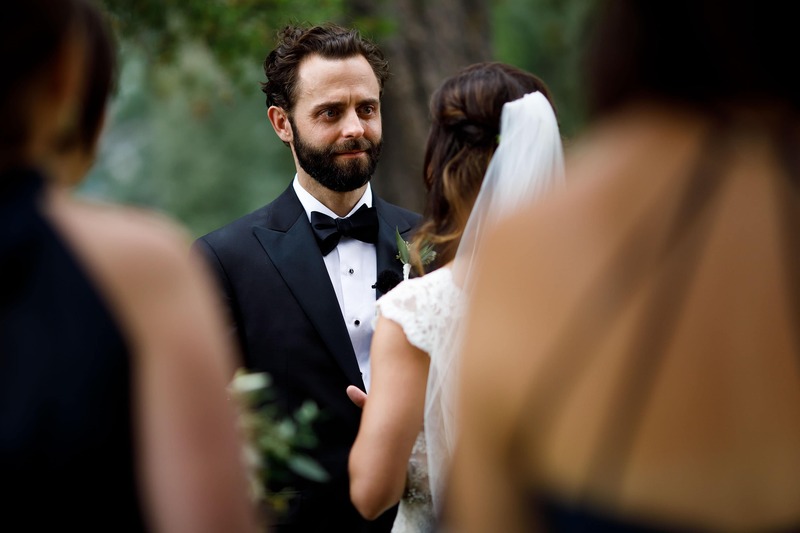 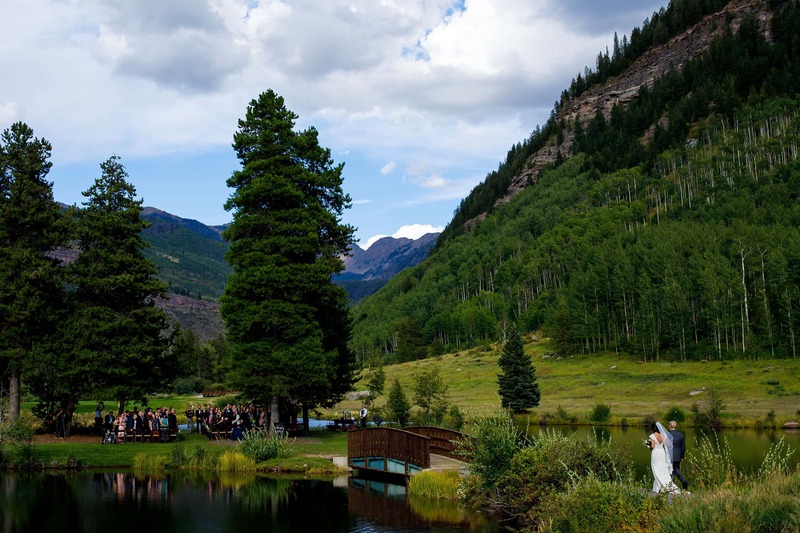 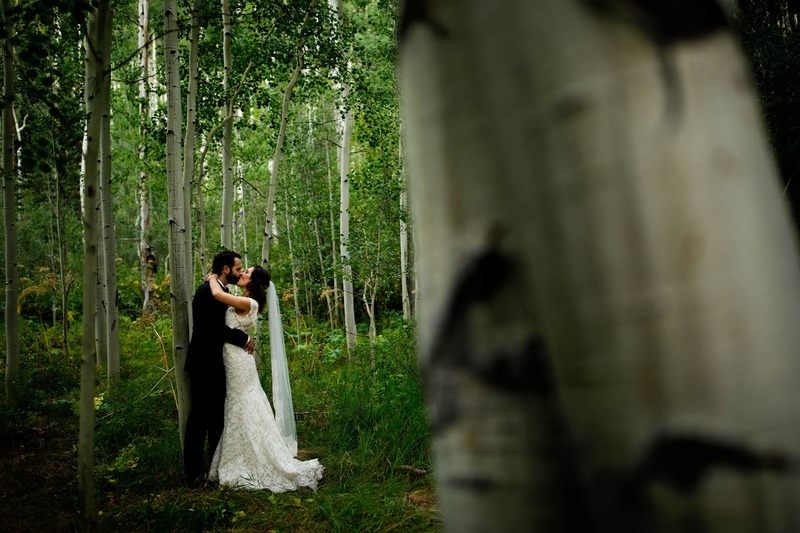 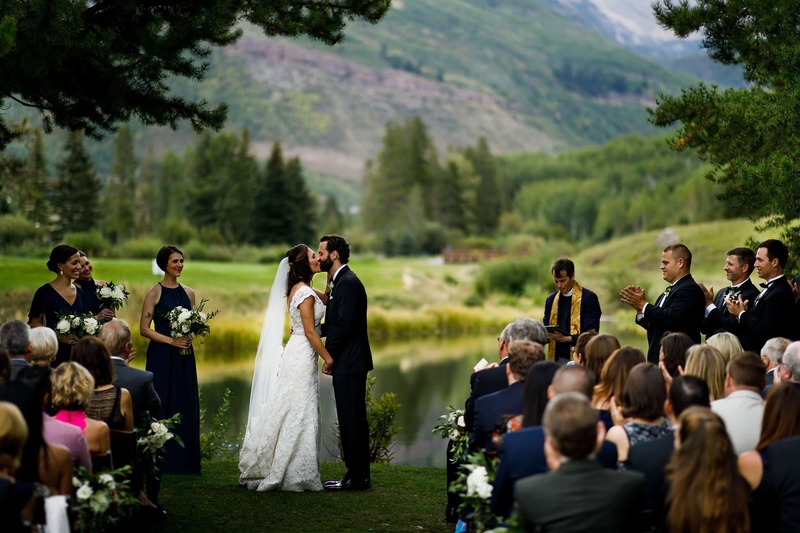 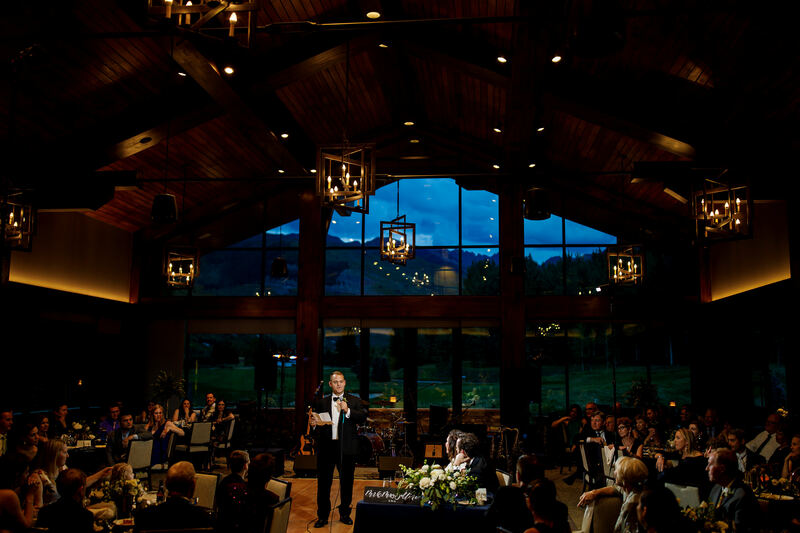 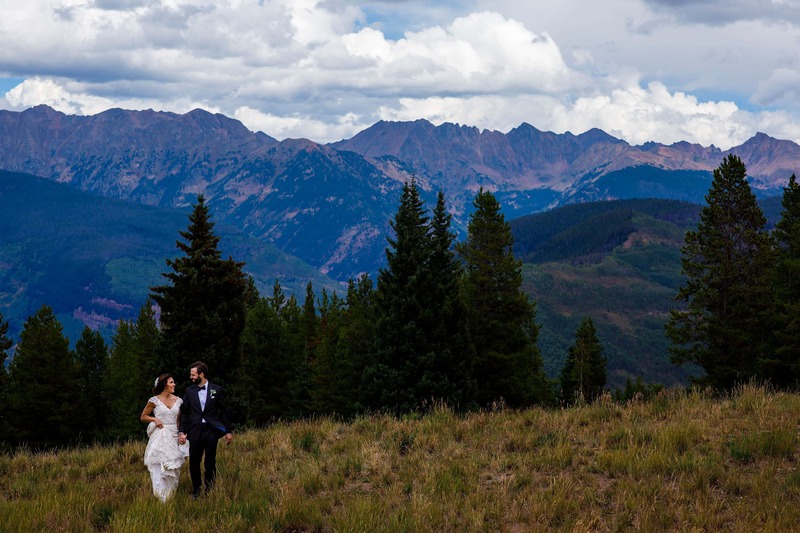 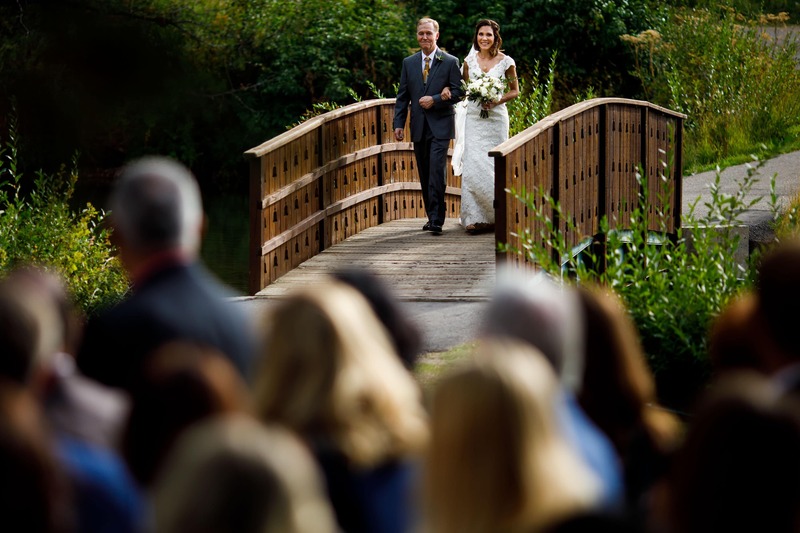 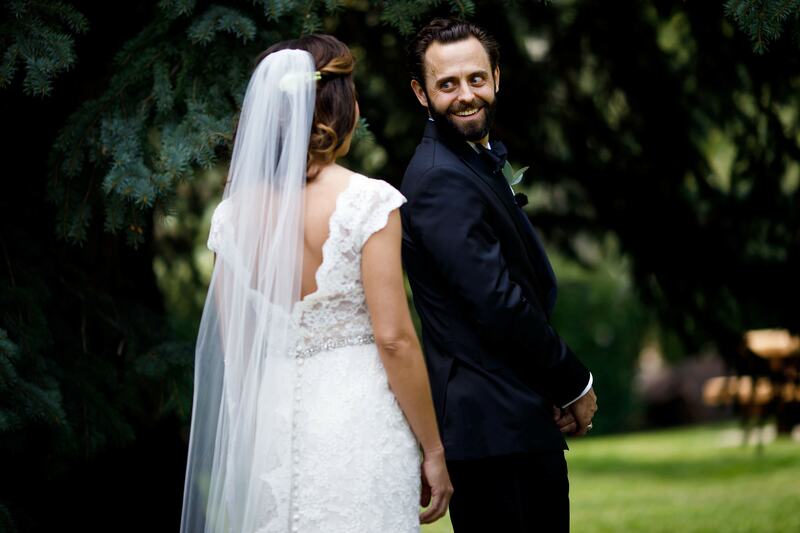 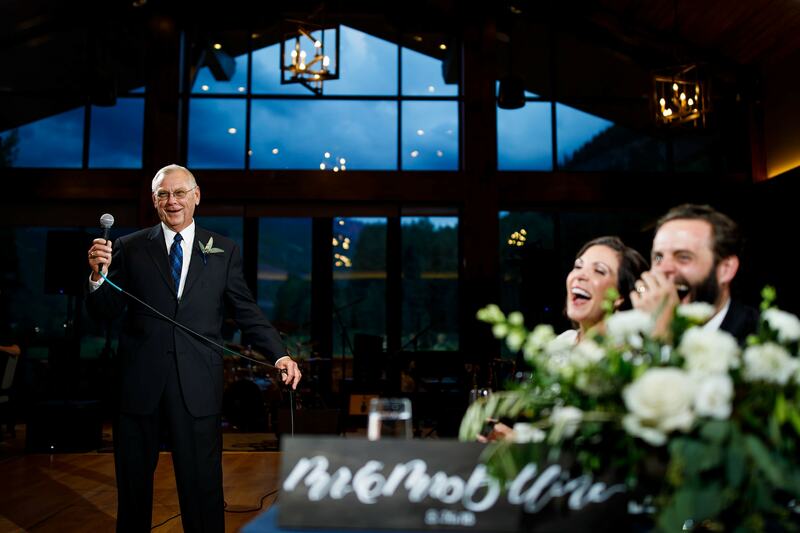 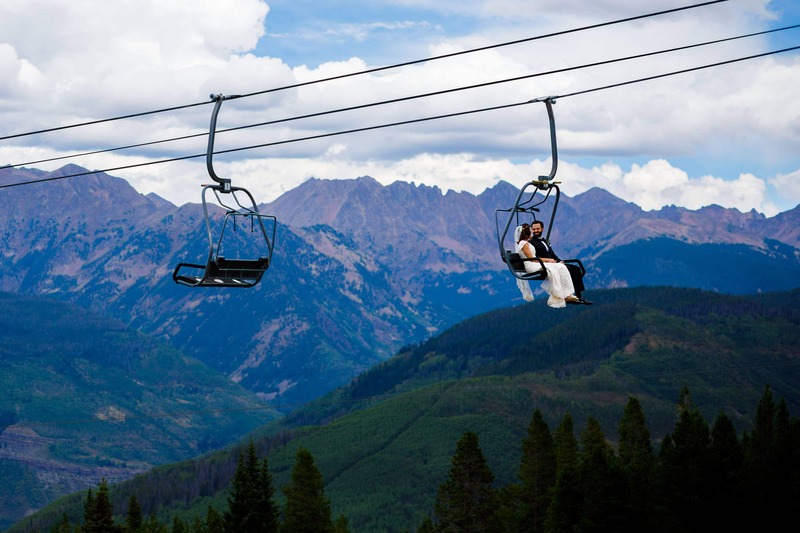 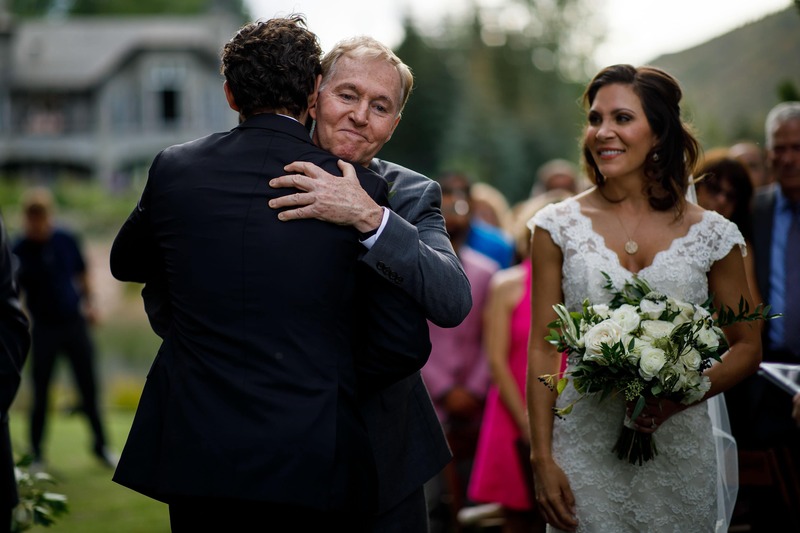 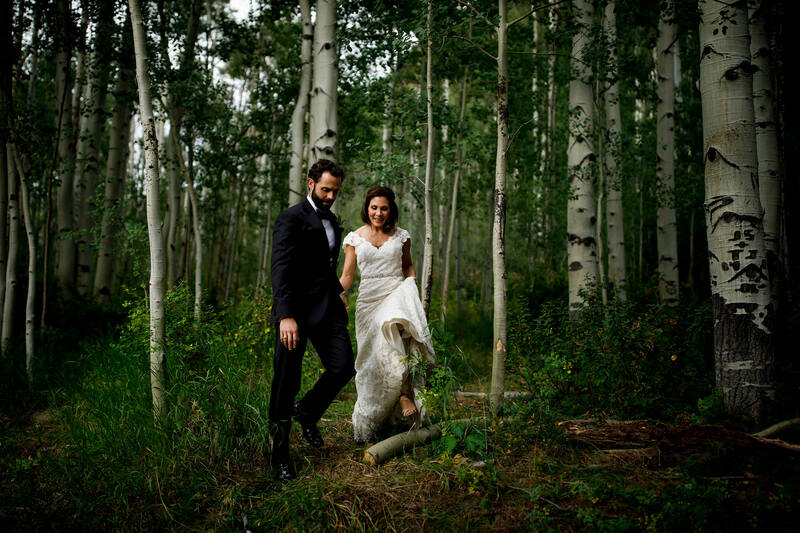 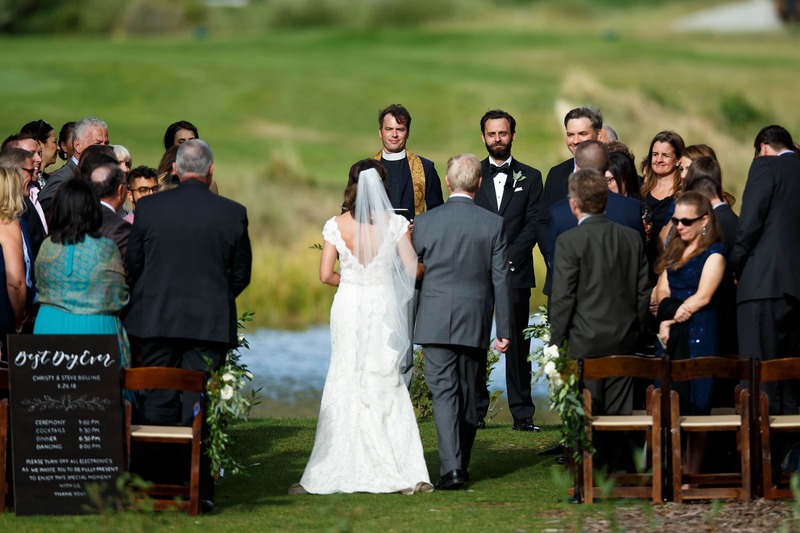 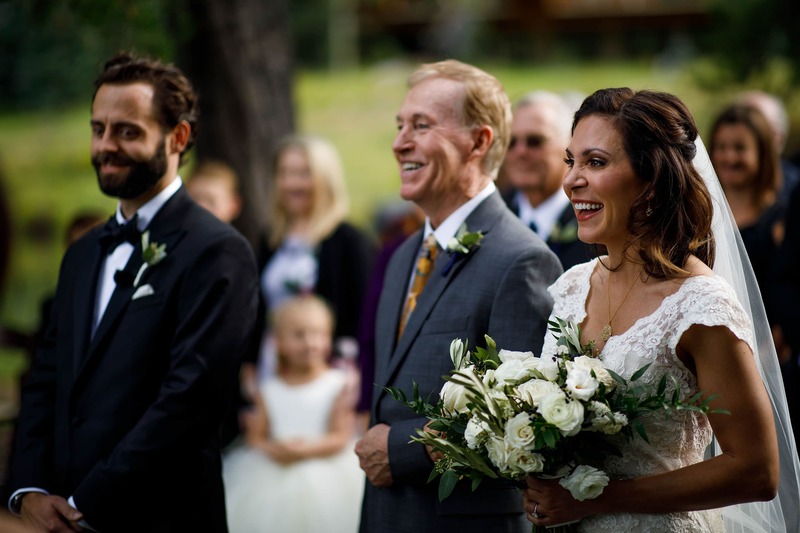 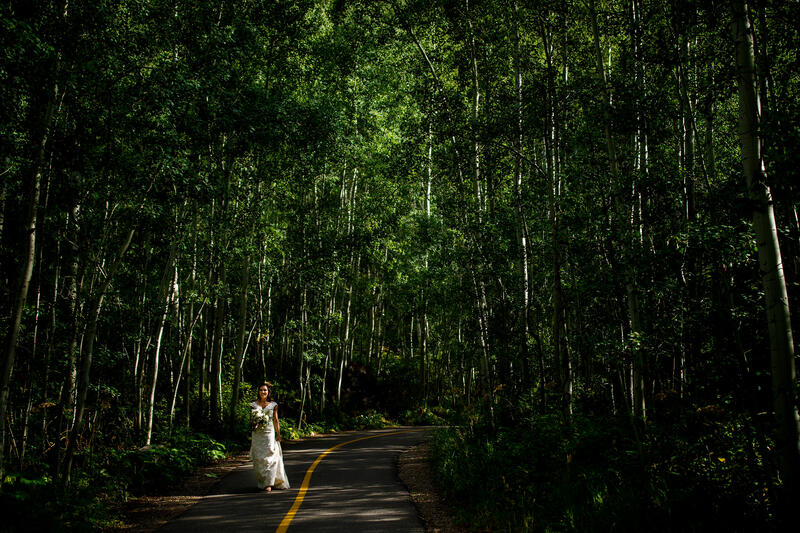 Their Vail Golf Club wedding ceremony on the island was impactful, spiritual and memorable in so many ways. 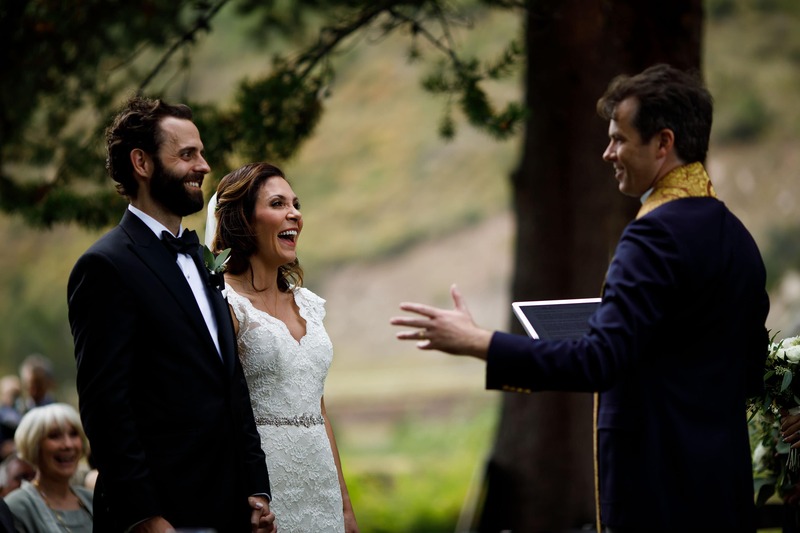 The tears flowed because of the immense love that they share for each other and laughter filled the air because every relationship has its funny times. 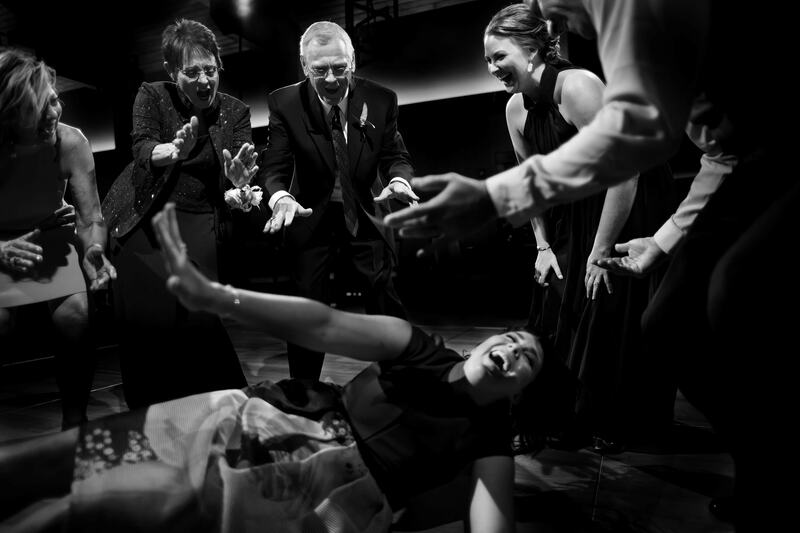 Every single person was present in the moment. 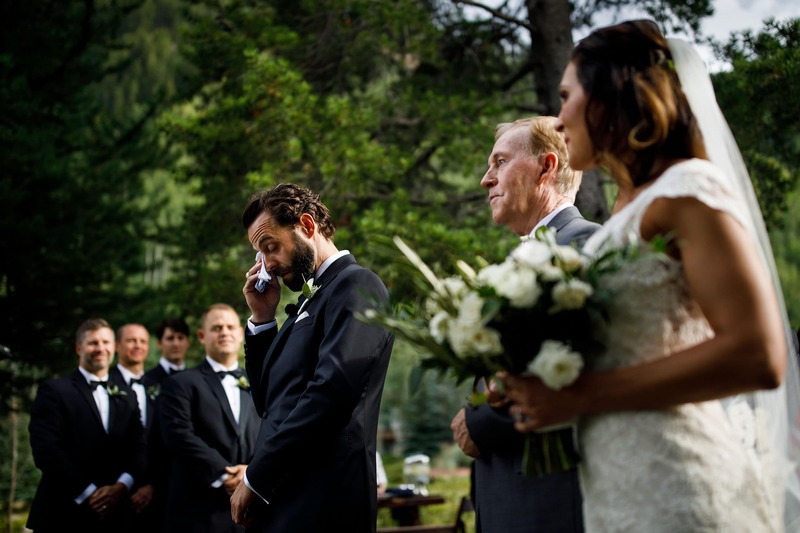 It’s amazing how different a ceremony can feel when family and friends put away their phones and experience the love in front of them. 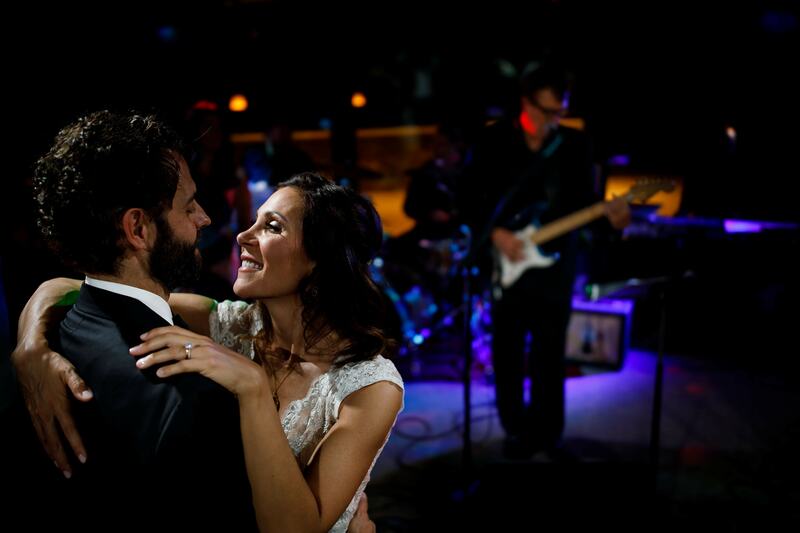 The reception inside the club’s new gore range room was rocking thanks to live tunes from Jonny Mogambo Band. 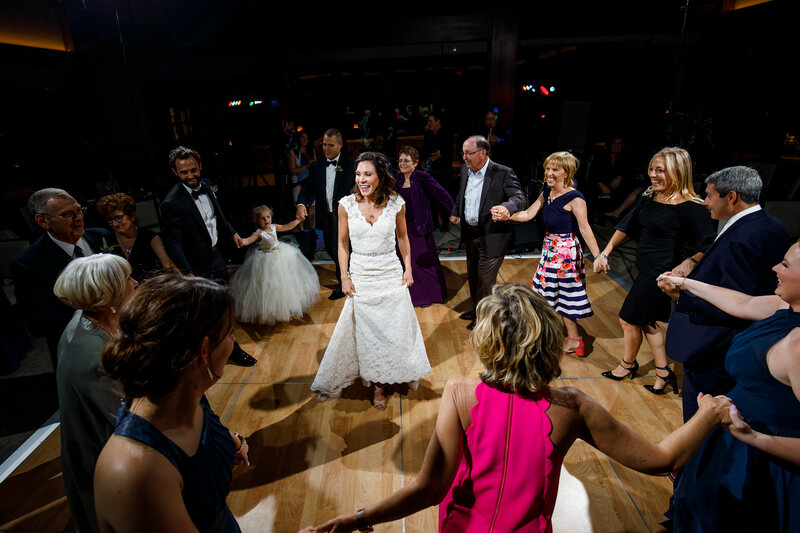 At one point in the evening, Christine and Stephen even got up on stage with Jonny and serenaded their family and friends. 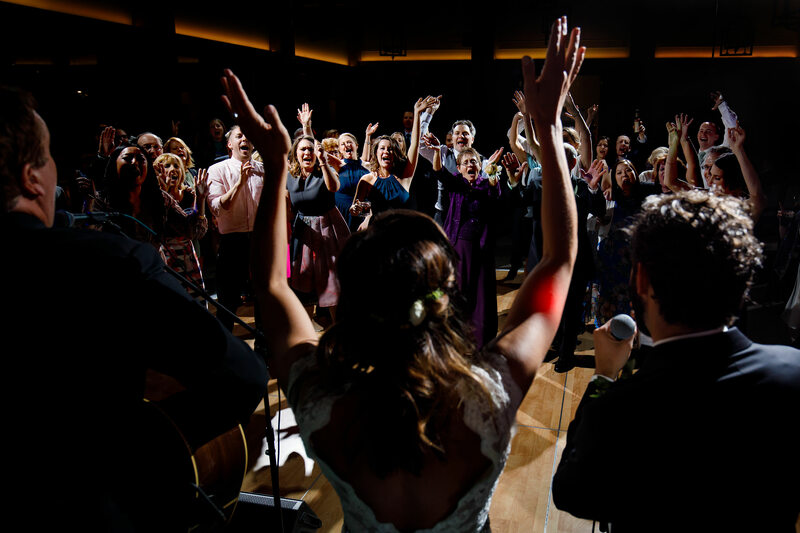 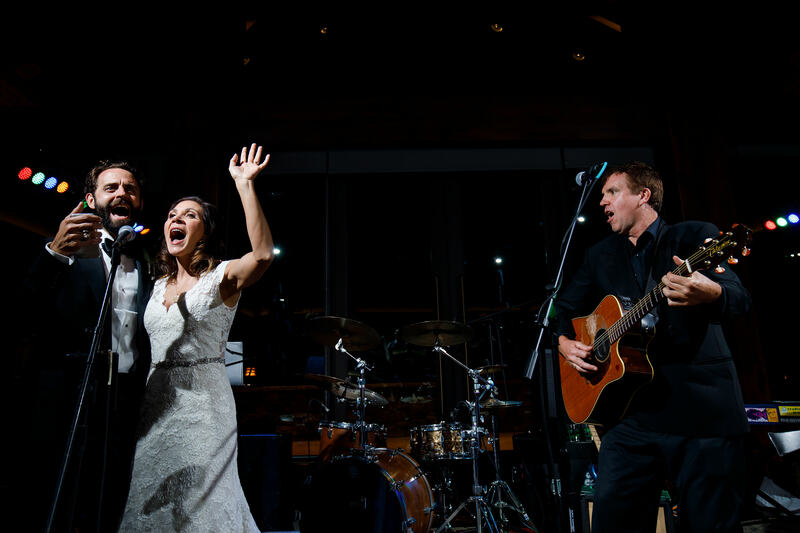 I’ve definitely never seen a bride and groom sing at their own wedding, and it was awesome. 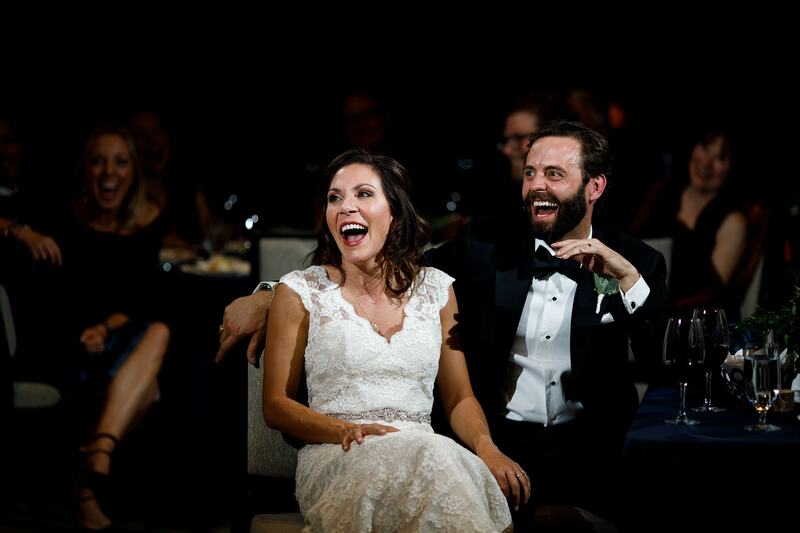 Not only did Laura with L Elizabeth Events create a fantastic guest experience (she put together tasty treat bags that were perfect after a night of drinking and partying), she organized the timeline so that myself and all the other vendors could be successful. 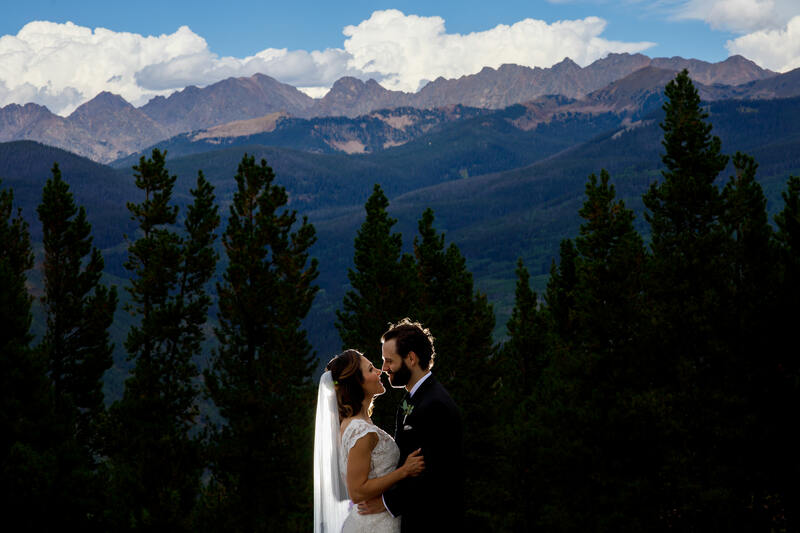 As a Colorado native, it was a pleasure to share our mountains with Christine, Stephen and all their guests. 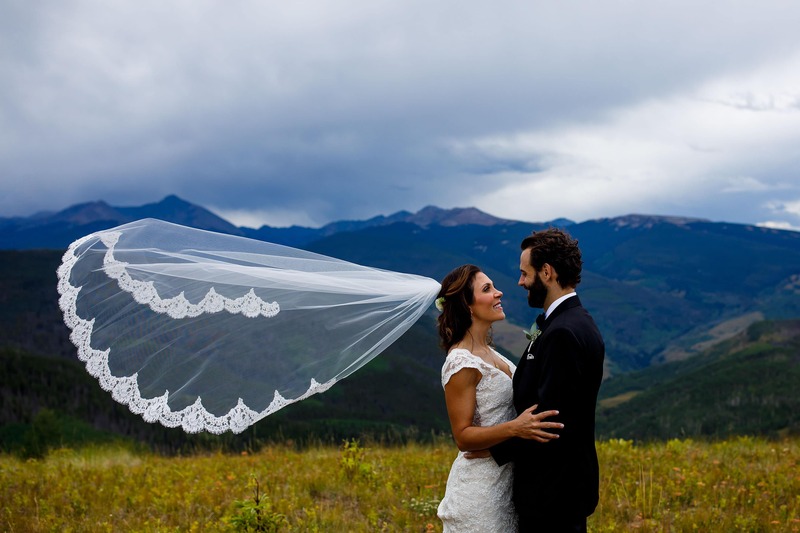 Absolutely amazing and beautiful pictures! 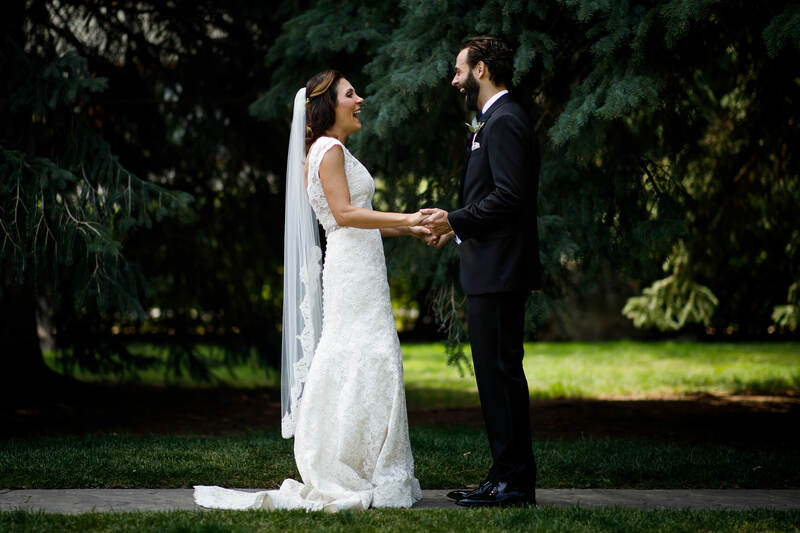 Congratulations to the loving couple!